This Challenger can be purchased at anytime before close of auction and we offer speedy delivery. Give us a call to make this one yours today! 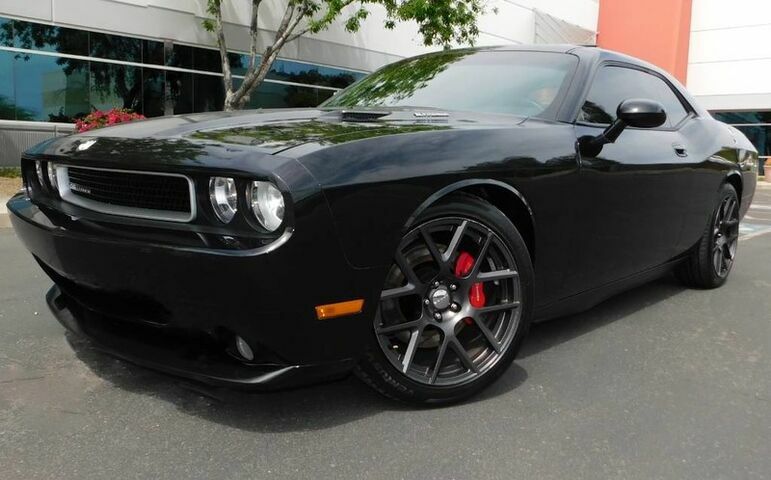 2010 DODGE CHALLENGER SRT-8 with 103,818 miles. This rig is loaded with all the right power options and is extremely fun to ride and drive. The power the 6.1L HEMI Engine delivers will leave you in AWE! The sides are extremely straight and the paint still shines. Car looks just as beautiful up close .The exterior is beyond clean for it's age and miles. No major dents, scratches or anything that jumps out at ya. The interior is equally as well kept. Clean, Clean, Clean with no signs of use. Never smoked in and zero signs of pets.The steering wheel leather is still perfect and the driver seat edge fabric isn't ripped. The Autocheck shows this car was purchased new in Las Vegas, Nevada before coming to Arizona. This means Absolutely Zero Rust will be found on it's pristine undercarriage. This car has been inspected/serviced and everything works properly! 100% Turn Key Cross Country Road Trip Ready Condition.